Do you want to inspire your clients to unlock their authentic potential, own their gifts, navigate their challenges and love, empower and accept themselves? Are you ready to stand out in your coaching or healing field by offering unique, valuable and sought-after astrology-infused programs and services that position you as irresistible in your niche? Are already working as a coach, healer or facilitator. Have experienced the power and benefits of astrology and are passionate about using it with their clients. Want to develop a unique body of work that expresses their soul gifts, wisdom and life experience. Desire to align their business to their authentic soul purpose and lifestyle, so they can serve their clients and the wider community whilst feeling in flow and on fire. Quite simply: nothing else comes close to the laser-sharp insights and priceless self-understanding that your astrology chart offers. There are dozens of personality-typing systems and countless paths to self-discovery, but astrology is the one system which combines ancient, time-honoured wisdom with infinite modern-day applications, in a way that speaks to both the mythic soul and the pragmatic human. It gives us the story of who we are, why we’re here, and how to live our best life. Astrology is the ultimate tool for any coach, healer or facilitator who wants to get to the heart of their client’s story, path and purpose, and help them to be who they really are. And it’s not just relevant to 1:1 client work, either. You don’t need to be “an astrology reader” to use this art and science into your work. You can create group programs, courses, workshops, retreats, creative projects and physical products inspired by the areas of astrology that appeal to you, and the applications which are most relevant to your clients, your niche, your business and your purpose. As a skilled intuitive astrological guide you can help your clients tap the power of their soul’s blueprint, be their most empowered and authentic self, and create a greater sense of meaning, purpose and fulfilment in their lives. A modern-day astrological guide is not a predictive fortune-teller but a skilled intuitive mentor, one who translates the symbols of the soul and illustrates the available potentials so that the client remains informed, empowered and inspired. Intuitive astrology is an intuitive art, rather than a rigid science. The intuitive astrologer connects to the meaning of the chart through the intuitive senses, rather than interpreting it solely through the conscious, rational mind. The chart “speaks,” offering insight that streams from the vast well of wisdom in the personal and collective unconscious. This allows for deep change, transformation and integration, as the client and facilitator are engaged on the level of mind, body and soul, rather than just the mind. The client, rather than being a passive recipient of the astrologer’s knowledge, is an active participant in the process. You want to develop expert-level proficiency in astrology and use it alongside your existing professional modality or modalities. You desire to stand out in your field by offering unique and innovative work that empowers your clients to be who they really are and live the purpose they incarnated with. You’re ready to supercharge your intuition to receive, translate and transmit the meaning of complex astrological symbols with ease and grace. You’re ready to commit to your unique soul purpose, share your gifts and develop an authentic style and body of work. You want to be supported to live in alignment with the cosmic and earth cycles and create your success in a soulful, sustainable way. You already have a basic to intermediate knowledge of astrology, either by participating in my SoulStar Collective program or other equivalent self or formal learning. Developing and trusting your intuition. Meditation, channelling and using/accessing altered states. Chart synthesis - finding the core meaning of complex chart factors. Creative and experiential processes - personal myth and narrative, dialogue, imagery, ritual, ceremony, embodiment, amplification, active imagination, psychodrama, gestalt, art therapy, soulcraft, dreamwork and more. Discovering and releasing past life karmic complexes. Path working and alchemy - the higher spiritual purpose of astrology. Astrological formulas for various types of clients and client work - life purpose, childhood trauma, past life blocks and gifts, vocation and career, money and success, relationships, parenting, children etc. Specialist techniques - midpoints, antiscia, polarity, the traditional humors. Energy medicine and astrology - creating vibrational change. Medical astrology and the physical expression of the zodiac signs and planets. The different “schools” of astrology - esoteric, evolutionary, humanistic, psychological, traditional, experiential. Ethics, communication and best practices for client work. Your personal legacy, calling and soul purpose. Developing a unique and authentic body of work. Branding and marketing yourself with authenticity, based on your own chart. Your personal career, money and work signature, and choosing the right business model for you. Running your business with the cosmic and earth cycles for sustainable success. Facilitating events and circles based on the seasons, planetary transits and lunar cycles. You will also have the opportunity to qualify as a Brand Your Soul guide, a unique astrological branding process that’s highly sought-after by spiritual entrepreneurs. Eight modules with live online mentoring calls and fortnightly group support sessions. Six 1:1 sessions with Eloise. 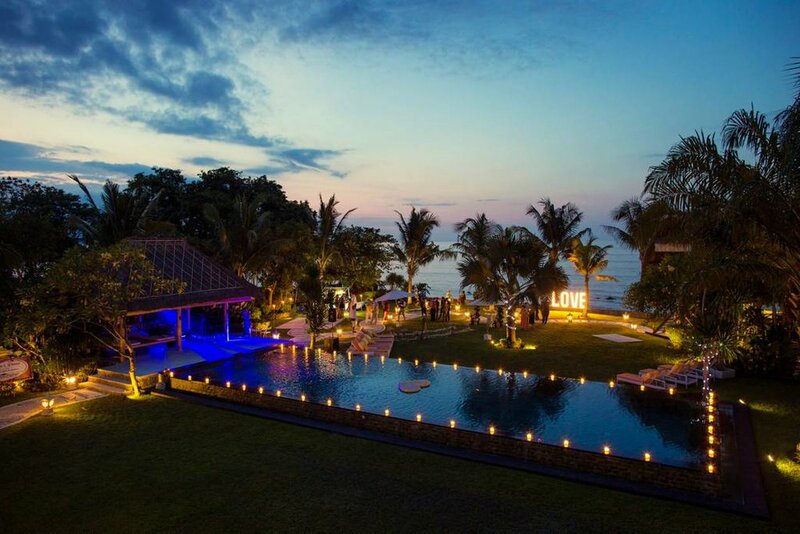 A four day/five night immersive, retreat style training in magnificent Bali, including all meals and shared accommodation. Flights to and from Bali are not included. Hard copy printed manuals and workbooks (including a 100,000+ word, full-colour course manual which gives you an in-depth understanding of astrology). Online group for support from your fellow students. Practical experience in being an astrological guide in the Cosmic Alchemy community, including opportunities to mentor new students in the online forum. You may have the opportunity to work as a trainer for the School of Cosmic Arts upon graduation. The Apprentice program is currently in the process of IICT (International Institute for Complementary Therapists) approval. Successful graduates can secure IICT membership and professional insurance. The SoulStar Collective (which will be called Cosmic Alchemy in 2019) is a prerequisite for the Apprentice program. As the Certification program trains students in advanced chart techniques, synthesis and facilitation, it assumes an intermediate level of astrological knowledge. If you have not completed the prerequisite program, you’ll be required to complete it concurrently with the Certification program, or show that you’re already competent in skills and knowledge. I’m enrolling a maximum of seven people into the program, and two spaces are still available (as of January 14). The intimate group size allows you to receive not just group training but private 1:1 mentoring with Eloise, which is extremely rare in professional certification programs. The program begins in March 2019 and concludes in February 2020. $5,900 AUD for SoulStar Collective graduates. $6,997 AUD for those who haven’t completed the SoulStar Collective, and this includes the prerequisite program. This tuition fee includes a fully inclusive retreat, 6 x 1:1 mentoring sessions with Eloise, hardcopy training manuals and a weekend workshop. 12 month payment plans are available, starting from $500 AUD/month. This may be the only time I run this group certification program for coaches and healers. If I do run it again, it will be priced at $10-12k AUD. If you’re interested in becoming a professionally certified intuitive astrologer and using astrology in your client work, this intake is your best opportunity! Enrolment is via application only. To apply for the training, please book a 30 minute, no-pressure, heart-to-heart chat with Eloise by clicking the button below. You’ll have the opportunity to ask any questions you may have about the program, and receive all the details of the training. If we both agree that the Certification program is right for you, you’ll be offered a space in the 2019 intake.